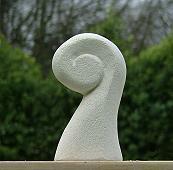 Stone carving workshops for the big festivals and events is more like a have a go session for medium to large crowds. The predesigned sculpture is very simple and it takes about 15 to 20 minutes to complete. This is good as sometimes there are many people waiting in line. The workshops are structured for adults and children and it is great when parents work together with their children on one piece. Some of the stone is pre-cut to make it easier for very little children. About 160 people will get to carve an Oamaru stone sculpture in the four hour period. 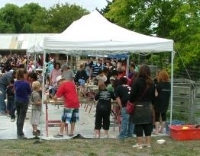 Stone carving workshops are a great idea for large public events and all types of fairs and festivals. If you are running a smaller event with less crowds and it is expected to be more relaxed than the large events. We can create a workshop that has more designs to choose from plus the size of the stone can be a little larger but less blocks are provided for that event. 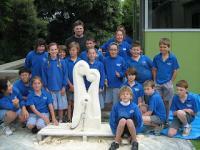 Stone carving workshops are held in the city of Christchurch or around the Canterbury region. It depends on the size of the event. You can contact me by phone or provide as much information you can from the form below and you will be provided with a quote.